There was a rumor that surfaced last week that the upcoming SSFIV update, Ultra Street Fighter IV, will feature a new red focus attack that can absorb multiple blows instead of one. Today, we have an official confirmation of this new mechanic. Red focus allows you to take multiple blows now, but it still retains the same weaknesses as the regular focus attacks, such as armor-breaking special moves and grabbing. Capcom has made it clear that nothing is finalized and still subject to change based off fan feedback. 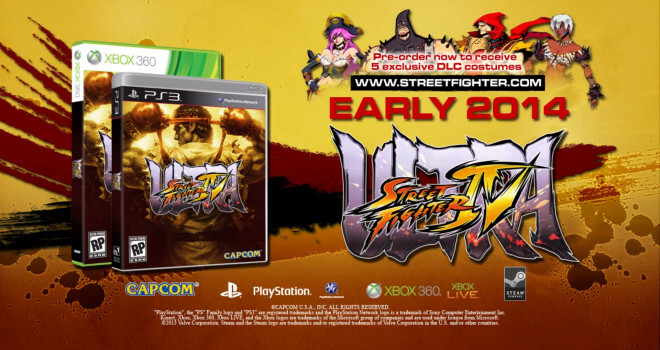 Along with this news, Capcom has also announced is the Ultra Combo Double system. This allows you to use both Ultra’s in the same match, but each Ultra does half its normal damage. Some may say that makes it pointless, but what this does is create a strategic guessing game: “Will he use Ultra 1 or Ultra 2?” Situation convenience is the key here. Personally, I like the idea of both of these changes. Let us know what you guys think down below. There better be a good reason for a random upgrade to mechanics. It better work well, not just be cool ‘cuz it’s red and has different, game breaking ripple effects. Double ultra better be optional. Capcom better reveal the fifth character, I am losing interest. Ok, so why not bring back the parry system instead? They made it in UMvsC3, it would work well here too, and it would be much more interesting to see both parries and focus, even if a bit redundant. And for the Ultras, well, I never really understood why we had to select and Ultra in the first place. They don’t share commands, so, what’s the point? It limits the characters, in my point of view, at least. About the last character, well, whatever. It probably isn’t ready yet. And since it’s not gonna be Skullomania, I hope it, at least, a Rival Schools character.